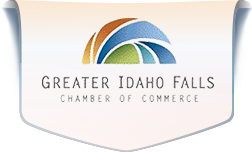 The Board of Directors of the Greater Idaho Falls Chamber of Commerce has adopted the following Legislative Priorities for the 2018 Idaho Session, based on the professional input of the Chamber Advocacy Council. Taxation. Provide tax relief to all Idahoans. Individual and Corporate Income Tax Rates – Lower the corporate and individual income tax rates to make our business environment more competitive and attractive in comparison to surrounding states. Unemployment Insurance Tax – Reduce the base tax rate paid by Idaho employers. Sales Tax on Groceries – Eliminate the sales tax on groceries. Education. Enhance the current K through Career educational continuum to ensure innovative and collaborative instruction; provide multiple pathways to college/career readiness (military, technical, two-year, four-year); and continue to expand the capacity of Idaho’s workforce and career technical programs; leading to a highly-skilled workforce and high wage jobs. Health Care. Implement an Idaho solution to provide affordable and sustainable health care for all Idahoans. IRON – Support state funding toward ongoing maintenance of the Idaho Regional Optical Network (IRON). This critical funding will ensure Idaho’s colleges and universities have access to the full capabilities of INL’s two new facilities at their home campuses across the state. Railroad Crossing – Support a reinvigorated effort among the state, federal and local governments as well as INL and Union Pacific to approve and fund a rail crossing that unites the University Place and Center for Advanced Energy Studies campuses. Research Quantities – Encourage the Secretary of Energy, the Governor of Idaho, and the Idaho Attorney General to renew conversations aimed at ending the Settlement Agreement stalemate over research quantities of spent fuel and seeking a path forward that ensures the Lab’s ongoing mission as our nation’s lead nuclear energy laboratory. Seek the active involvement of the Idaho State Legislature in facilitating an expeditious and positive outcome for the state and the Laboratory. Electrical Generation and Transmission. Support legislation which reduces barriers and encourages additional and more substantive electrical generation and transmission capacity across the state. Increased capacity is critical to industrial and commercial growth. Support legislation related to Small Modular Reactor (SMR) activities including tax incentives for the research, development, testing, implementation and commercialization of SMR at the INL. Sales Tax Distribution. Realign sales tax distribution payments to communities, giving them a greater motivation to improve their business environments. Urban Renewal. Preserve and protect urban renewal and tax increment financing as a way to create local economic growth, and adopt other research-based forms of development financing. Municipal Water. Protect municipal water rights from curtailment, thus allowing cities and urban economies to continue to grow. Supermajority. Lower the supermajority to 60% from the current 66 2/3% to assist tax-supported governmental entities, including school districts, to pass the bonds necessary for investment in schools and infrastructure.